The West Seattle Food Bank distributes food, pet food and other items to families in need residing in the West Seattle zip codes of 98106, 98116, 98126 and 98136. Families can use the food bank once a week. 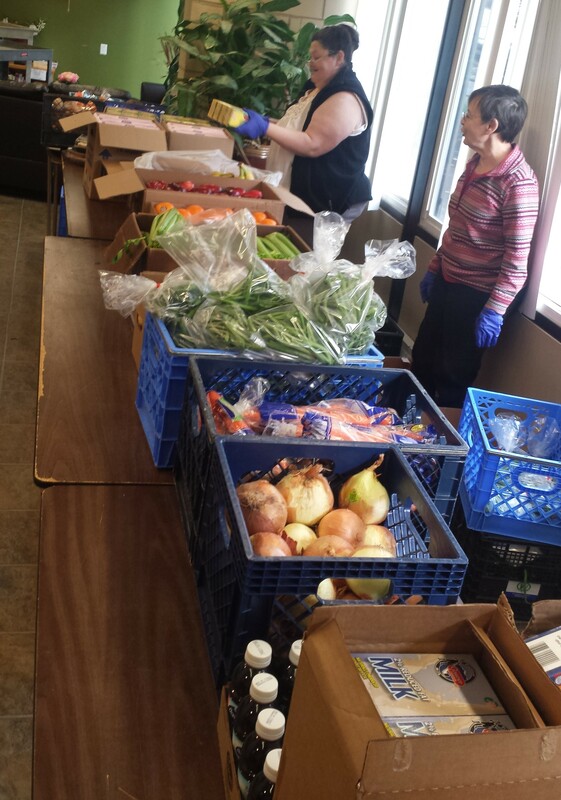 In February 2017, we changed to a shopping model distribution where clients will get a shopping cart and pick out items from the shelves, produce area, freezer and cooler within the shopping area. This gives them a wider selection of choices (especially for cultural or dietary needs), time to proceed at their own pace without feeling rushed, and an overall more respectful experience. On the first visit to the food bank, we ask families to provide photo identification and proof of their West Seattle address, such as a recent piece of mail. We continue our Home Delivery service to approximately 70 -100 households that do not reside in one of our Mobile Food Bank sites. 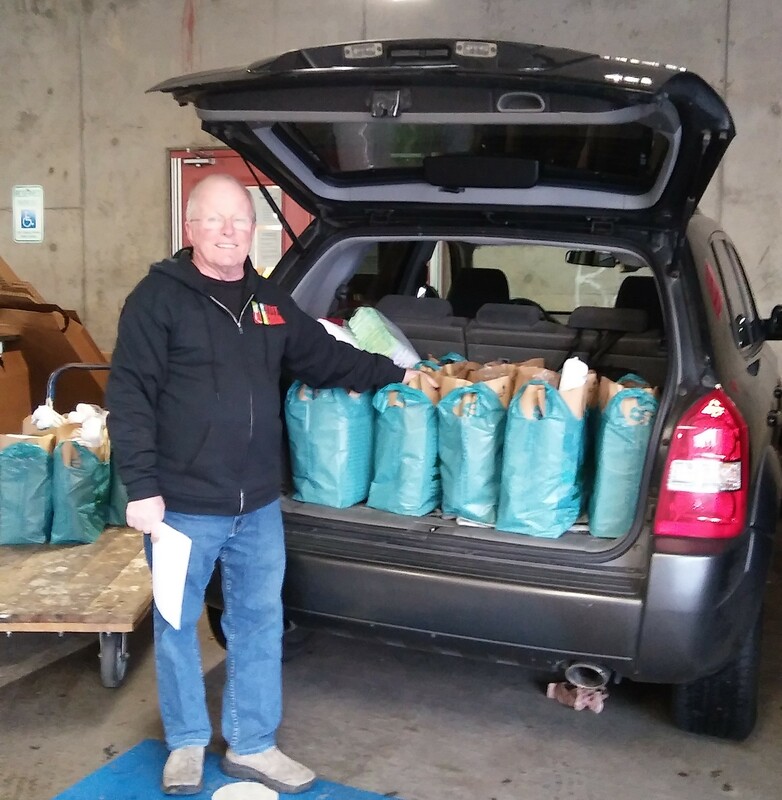 Bags of groceries are delivered directly to their homes weekly on Wednesdays or Fridays by our incredible volunteer drivers. For access to a larger amount of food with a better selection we encourage clients to first try to arrange for a family member or neighbor to pick up their food for them from the food bank. If you live in a zip code we serve and cannot come to the Food Bank because of a disability give us a call at 206-932-9023. The West Seattle Food Bank established its Mobile Food Bank off-site distribution and has now expanded to four locations that are home to the elderly, disabled or individuals not able to make it to the food bank. The Mobile Food Bank currently sets up a distribution weekly in the lobbies of Alaska House, Cal-Mor Circle, Westwood Heights, Cottage Grove Apartments for residents only and the food pantry at the Senior Center of West Seattle. 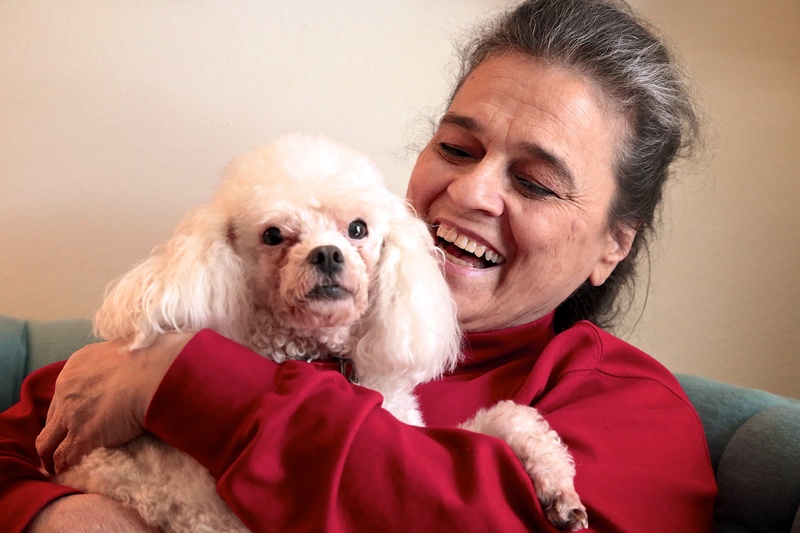 Our Pet Pantry distributes 15,000+ pounds of donated pet food and other accessories to families who need help taking care of their furry friends. Humane Society, Lien Animal Clinic, Mud Bay, Next to Nature, Pet Elements, Petco, and West Seattle Veterinary Hospital. Petco (in the QFC complex on Alaska) has an ongoing donation bin in the front of the store for all pet food and kitty litter donations. We do take opened dry pet food.